"A canal boat holiday is great way to explore the inland waterways of the UK! Llangollen Railway - A canal boat holidays attraction. 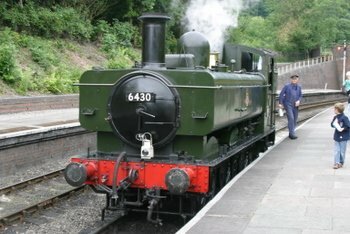 The Llangollen Steam Railway is volunteer run and operates between Llangollen and Corwen (approx 10 miles). You can catch the train at Llangollen which is very close to the canal basin. The Llangollen Railways is the only standard guage heritage rilway in North Wales. Location : Llangollen to Corwen through the Dee valley.